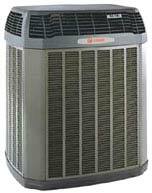 D & T Air Conditioning - An air-conditioning and heating service in Houston, Texas - It's Hard to Stop a Trane. Are you looking for a reliable and fast air-conditioning service? D & T Air Conditioning is a residential, commercial, and industrial air-conditioning business. Our services and products include furnace and duct installations, central air-conditioning systems, heat pumps, tune-ups, and furnace cleaning and inspections. We service all brands, but sell Bryant, Carrier, and specifically Trane. Call us if you have an emergency because emergency service is available. D & T Air Conditioning offers quality products and workmanship. Our rates are reasonable and our service is fast and friendly.